Mugs for all occasions! Mugs to match your mood! Mugs galore! Coffee mugs are our sole sanctioned hoarding passion. We’ve started a collection of weird state mugs and we’re on the quest to get all 50. Yes, we’re those people hunting thrift stores and garage sales on the look out for strange tourist mugs. Did you know upper Michigan was someplace special? I didn’t until I found a mug that told me so. We’re picky about what makes it into the collection – you can’t just slap a dolphin on it and call it Florida. As avid coffee drinkers we have non-state themed mugs, and we drink tea and other beverages out of these mugs…but let’s be real—coffee is king. 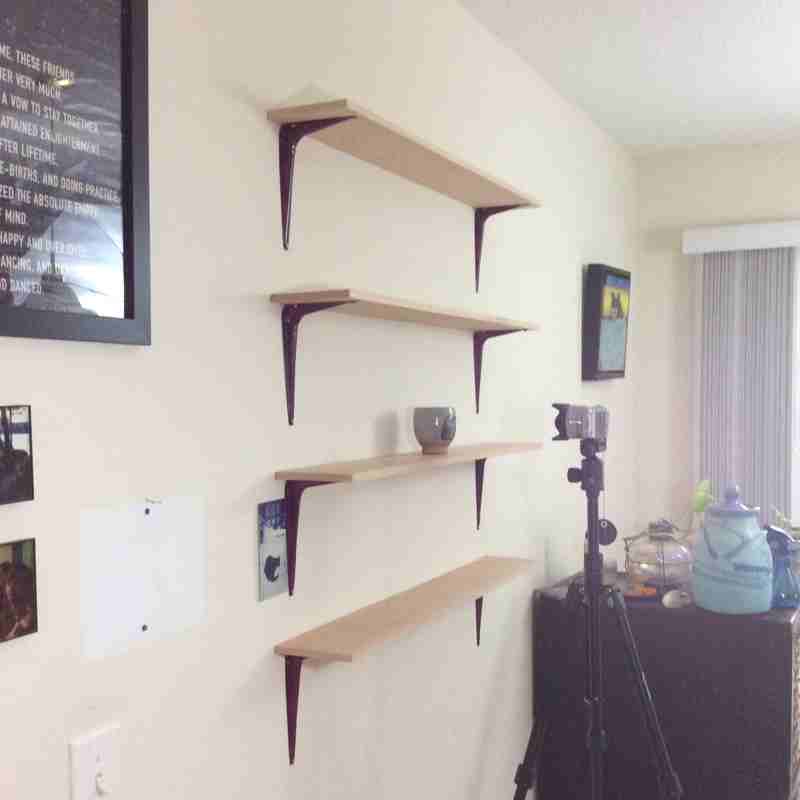 We decided we wanted a mug shelf in our kitchen to display our collection and to create a functional piece of art. And we made a little video to document/celebrate the process. It’s a little bit crafty, a little bit DIY, and a whole lot of fun. Since we put the shelves up I’ve really enjoyed taking a moment to choose my morning mug. So much personality up on those shelves.